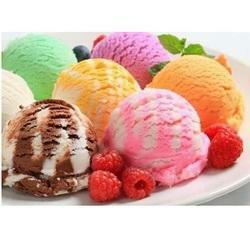 We are Manufacturers and exporters of high quality Tobacco Grade Ice Cream Grade Invert Sugar Syrupfrom India. Our Tobacco Grade Ice Cream Grade Invert Sugar Syrupis widely used in various Industries including Hotels, restaurants and Coffee shops. Our Tobacco Grade Ice Cream Grade Invert Sugar Syrupis widely used in bakery, soft drinks, ice creams, herbal cosmetics and squashes etc. We are exporting Tobacco Grade Ice Cream Grade Invert Sugar Syrupto various countries like Middle East, UAE, Israel, Dubai, Poland etc. We are the pioneer manufacturer of Ice Cream Grade Invert Sugar. By including invert sugar, products are eaten straight from the freezer such as ice cream and sorbets can be made be softer, and easier to scoop. Many of our clients have already found the advantage of using invert sugar syrup in ice cream.